Whoever claimed that travel is the only thing on which you will never waste your money, and indeed the only thing you will buy that will make you richer, was absolutely correct. Never has this phrase been more apt than when talking about a Work the World elective programme. 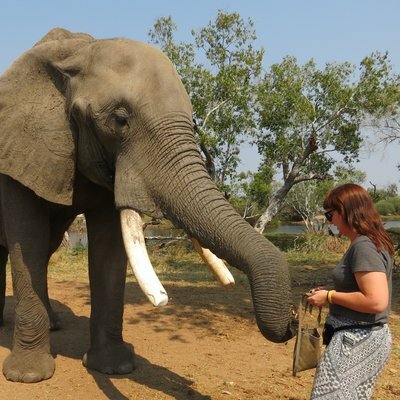 In August of 2018, I boarded a plane ready to start my second Work the World placement, this time I’d chosen their new elective programme in Zambia. 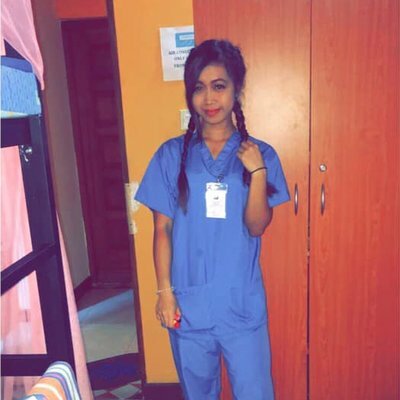 I had just completed the second year of my nursing training and having been off placement for three months I was ready and raring to go! 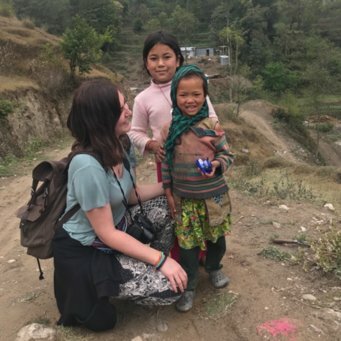 This time I was due to stay for five weeks, which with the three weeks I had undertaken in Ghana in 2017, gave me the eight weeks experience I needed to work for Doctors Without Borders. Other than one week in the village, I chose to spend my remaining four weeks in the emergency department at the hospital in Lusaka. 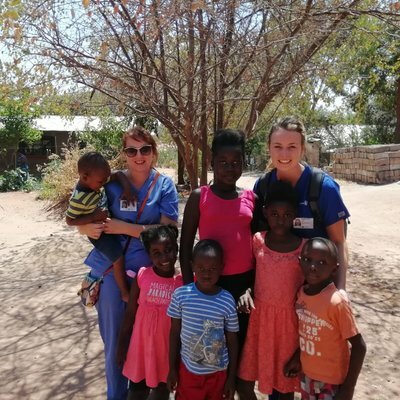 It is no exaggeration to say Zambia was a life-altering experience, to have seen the patients and worked alongside the staff, it would have been impossible not to return home with a new perspective. There are patients I had the pleasure of caring for whom I will remember throughout the rest of my career. Zambia was especially significant for me, as it built on my Work the World trip to Takoradi and further exacerbated my goal of working for Doctors Without Borders. Not only did my time in Zambia develop my skills, but it also demonstrated I have the confidence and capacity to fulfil this dream. 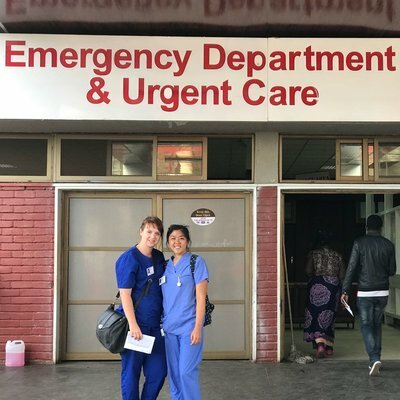 During my first three weeks in Lusaka, I was placed alongside my fellow students on the triage desk in the urgent care department, located opposite the emergency and resuscitation room. We did not have long to wait on my first day before an emergency case was brought in by ambulance. The patient was unconscious and arrived minutes before she suffered a cardiac arrest. Before I knew it I was assisting with chest compressions. Once the patient was stable after two rounds of CPR, myself and another student excused ourselves and exited the emergency room, incredulous we participated in such an incredible event. There are so many moments from this trip, both in and out of the hospital I know I will remember for the rest of my life. My first free weekend was unforgettable. With two other students, I travelled down to Livingstone on the Friday. 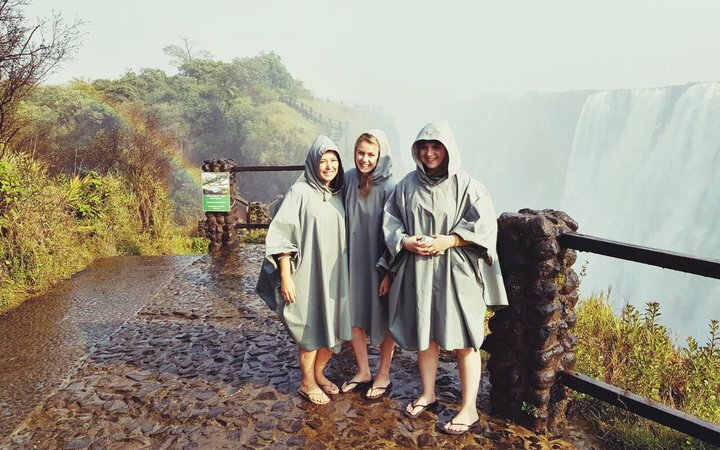 We were able to see the Victoria Falls at sunrise, they are spectacular at any time of day, but I would highly recommend going very early morning (5am!) to see them bathed in the golden light as the sun comes up. 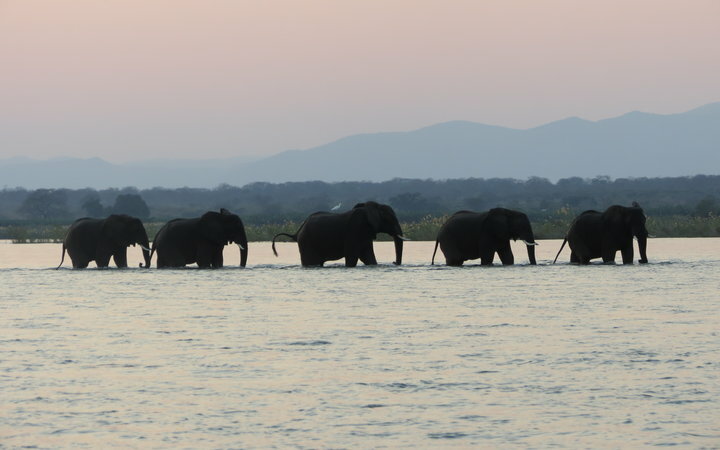 We also travelled to Botswana to complete an overnight safari in Chobe National Park; in my humble opinion the best safari in Africa. The extremely close proximity of the animals to the safari jeep was breath-taking. We were also able to camp out in the safari park amongst all of the animals. This was incredible until nature calls in the middle of the night and the light of your torch catches an unknown creature's eyes! However, my favourite activity of the weekend was The Elephant Cafe. We were able to get very close to two of the elephants and fed them little treats. Together with two other students, I temporarily lost my sanity and decided to zipwire across the Victoria Falls gorge, thus travelling from Zambia to Zimbabwe! There is nothing quite like the thrill of zooming along with the ground hundreds of metres below you! During my second and third weeks in the hospital I was able to work more closely with the incredible nurses and doctors whose dedication, knowledge and expertise keep the emergency room functioning with limited resources and basic equipment. The staff taught me how to be tougher, more resilient and work harder than I have ever learnt at home. I cannot stress how incredible these doctors were, despite all the shortfalls and difficulties, I would return to the department tomorrow to work alongside them if it were possible! My most memorable patient was a woman of 26 who had been brought to the emergency department after being hit by a truck and dragged some distance. She had suffered a traumatic amputation of her left femur, a broken elbow and many more bruises and lacerations. To further complicate her injuries she was 5 months pregnant with her second child. Her case was a good illustration of the differences in how cases are handled between Zambia and the UK. Once you are in Zambia you will become overly familiar with a concept called Zambia time - it is not like English time and means everything runs a lot later than usual! The patient was not taken down for surgery for at least 5 hours after she was brought in. This was challenging to deal with because in addition to her condition deteriorating, she was in an incredible amount of pain but could not have analgesia because she was imminently going into theatre where she would be sedated and there was a risk of an overdose. During her transfer to theatre, I accompanied the patient with two porters. I was holding her hand to comfort her, when I suddenly realised she had no peripheral pulse, nor a central pulse. With my heart pounding nearly out of my chest, I shouted for the doctor, she ran back to the patient, felt for her pulse herself, and upon not finding one she just said "Run!". And we did. We ran as fast as we could through the corridors into the theatres and passed the stretcher to the theatre staff. Several hours later I discovered the theatre staff had been able to resuscitate the patient and had started on the operation. 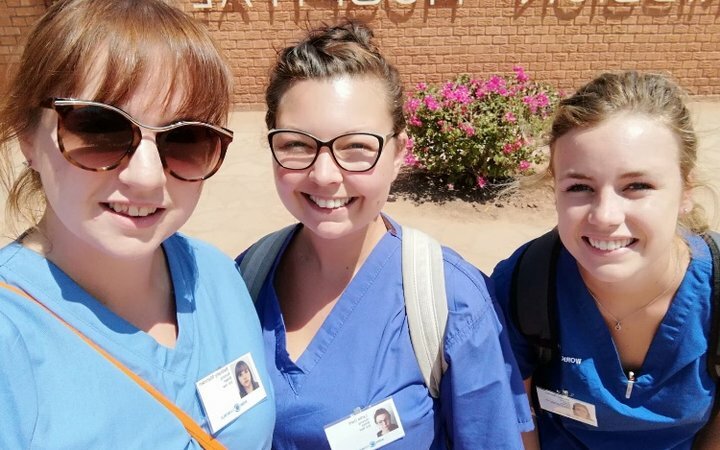 The following day, myself and another nursing student who had been heavily involved with the patient, were given permission to see her in the intensive care unit. Whilst speaking to the sister on the ICU we realised she had recognised us, and she lifted her arm and waved to us. We went over to her bed, and despite the mass of wires, bandages and extreme pain, she took our hands and smiled. This is a moment I will carry with me for the rest of my life. It served as proof that as a nurse I have the best job in the world. Despite all the hardships, staff shortages, unsociable hours, the bureaucracy and ever-present bodily fluids, nursing fills my heart with an indescribable joy and sense of purpose which gets me through the toughest days. I know as a nurse I have the capacity to change people’s lives, and sometimes even save a life. What could be better? 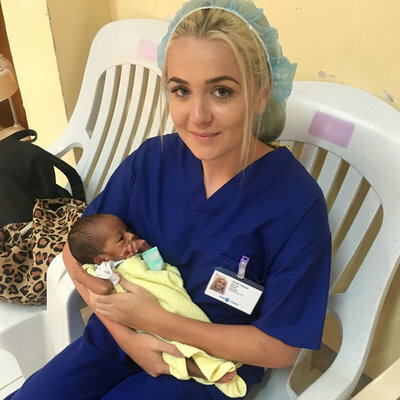 Read about Bethany's nursing elective in Ghana here.